The situation of Houston Rockets rookie forward Royce White has been explained here and elsewhere enough times for it to be fairly familiar. White, who suffers from anxiety, missed the first few days of training camp, secured a bus to take him to several road games, and then refused an assignment to the Rockets' D-League team due to concerns that they were not honoring the wishes of White and several doctors. Over the past six weeks, White has reiterated his issues with the Rockets' treatment of his situation (albeit in fairly vague terms describing the NBA's lack of protocol for mental health issues, not the specific actions of the Rockets). The Rockets' front office, for its part, has mostly stuck to bland corporate-speak regarding their commitment to seeking a long-term solution with White. This holding pattern broke last week, when the Rockets reassigned White to the Rio Grande Valley Vipers. White refused the assignment once again. He also gave a fairly thoughtful radio interview to SiriusXM's "Off the Dribble" show, in which he showed some understanding of the Rockets' responsibilities and avoided placing blame on the organization, instead describing his problems with the broader culture of the NBA. Although White and the Rockets didn't come closer to an agreement, they did take steps toward bringing their issues towards some kind of solution. The Houston Rockets suspended first-round pick Royce White for ''refusing to provide services'' required by his contract on Sunday. General manager Daryl Morey said Sunday that the team will continue to work with White in hopes of finding a resolution. White has been vocal on Twitter throughout this saga, and he continued to voice his opinions on the Web site after the announcement Sunday. ''What's suspending me suppose to do. I've been away from the team for a month 1/2. Guess we want to give it a title to shift accountability,'' he tweeted. That was the first in a string of tweets on the subject, and he then addressed Morey in the second one. ''Threat, Fines, Suspension won't deter me. I won't accept illogical health decisions, I will keep asking for safety & health. (hash)BeWell (at)dmorey,'' he tweeted. Frankly, I'm a little surprised it took this long for the Rockets to suspend White. While he has the power to seek the best solutions to his health problems, the fact of the matter is that he signed a contract with the Rockets to play basketball. And even though the circumstances of White's problems have little in common with recovering from a torn ACL or pulled hamstring, the Rockets have certain expectations for the steps he'll take to work on his mental health. Regardless of his ability to travel or play in games, White hasn't attended team-organized therapy sessions and seems unwilling to compromise with the Rockets if those steps may compromise his mental health. In other words, he's refusing to provide the services demanded by his contract. In any business, employees who don't do their jobs get suspended without pay or fired. Of course, the suspension itself doesn't mean that White is wrong on the merits — it's impossible to know the validity of his argument until he reveals any details of the Rockets' allegedly improper actions. And, in a broader sense, White is correct that he shouldn't do things that put him in danger. I've undergone several types of treatment for my own anxiety disorder, and one of the keys to improving the condition is knowing which situations cause and exacerbate episodes of anxiety. Certain jobs and responsibilities don't make sense for someone with this condition, and those specifics differ from person to person. 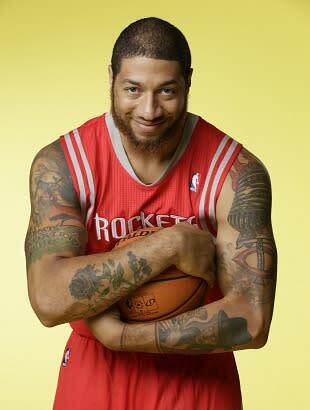 Ultimately, that's why we have to entertain the idea that Royce White and the NBA are not a good match. The NBA is a results-driven business. Everything we know about the league suggests that White won't receive the kind of treatment he desires unless he proves that he's a valuable member of an NBA team. Yet, for all his talent, White's still a rookie who hasn't proven he can play regular minutes at the highest level of the sport. The Rockets won't concede to his desires until he proves at least that much, and yet he doesn't want to play until they concede. Host Justin Termine asked what the chances are that White will never play in the NBA. White responded: "Well, you know, that’s a good question. I think that the chances are very high. And I say that just like I said before the draft that the chances were very high that I didn’t even get drafted. Because business in America, as we all know, is about one thing and that’s convenience and efficiency. [...] If that’s the case then so be it. I stand on what I say and I refuse to put myself in a hazardous situation to play a sport." Termine then asked if White was OK with never playing again, and White said, "Oh, well, I’ll play again. It’ll just be a matter of where, it’ll be a matter of when, but I’ll play again." But White's actions are only counterproductive if he wants to play in the NBA. If he doesn't, then this ordeal could end for the better — for his life, not his basketball career.